Honey has been treasured by humans for many, many thousands of years. The sweet nectar produced by the endless work and tireless effort of bees is, in its quality, comparable to the spiritual gifts one might receive after a lifetime of devotion to prayers and meditations. 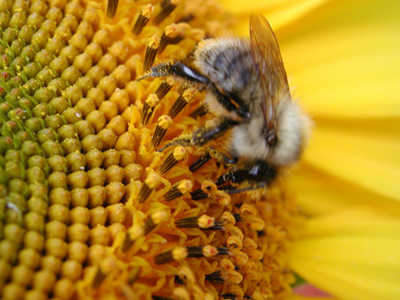 Bees, in a single lifetime, fly thousands of miles and collect the nectar from millions of blossoms, depositing the nectar in carefully constructed combs, where it is sealed and then fanned by other bees until all water is evaporated out of it and it shrinks to one quarter its original volume. This concentrated elixir, containing the most precious plant substances from the entire region of local flowers, is what we call honey. Why is the obvious so hard for us to see? Simple: the lenses through which we are looking at the world are dirty and need to be cleansed. The images we see are distorted, including the one we see in the mirror. It then becomes challenging to judge the distance from or to an object(ive). It becomes a challenge to see in darkness. We may sometimes even see things that are not really there. The effort we put forth to see puts a strain on our eyes, so we close them in order to feel some relief. But while we are relaxing with our eyes closed, the world around us keeps moving and takes us wherever it wants to go. We then open our eyes only to find that it’s now even harder to see. Our lenses are dirtier than before we closed our eyes. It then becomes difficult to go from one place to the other without the aid of someone else, whom we are now forced to depend on to guide us in the direction we want to go. We feel forced to put our lives in the hands of others. This analogy represents the negative and positive aspects of human development and survival for all of us born into the colonial system. Amazingly, even the phrase “colonial system” does not register in our minds as something hurtful that we should run from, although people of colour have been subjected to its wrath for the last 2,000 years. Instead, in our minds, it registers as something to embrace. And we blindly make a sincere effort to do so. This behaviour is often difficult to fathom. But once our eyes have been opened to the reality, the reasons become more obvious. As the US falls deeper into economic recession, the dollar continues to lose its value, more people are having difficulty finding work, and the price of food is rising. Financial hardships and intense budgeting have become a reality for many Americans. Some are referring current urban conditions as third world. One Brooklyn food pantry fed 5000 new families, up from 3000 a year before. By all accounts, it’s getting ugly and by the look of it, the worst has yet to come. Already, many urban areas have come to be considered “food deserts” where access to fresh, healthy food is not close by. Is Chicago, these food deserts are mostly found in the black communities where the average distance to a grocery store is almost double the average distance to a fast food restaurant. These communities are most in the far south side (past 87th st.) southwest (west of the Dan Ryan) and west. The impact on the health of those who live in these communities is disastrous. Chicago’s black communities have the highest rate of premature deaths due to cancer, diabetes and cardiovascular disease. Singur is a small farming community in the West Bengal province of India. The agricultural way of life has supported the people of this community for hundreds of years. 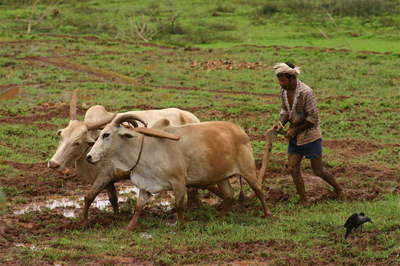 Their land is particularly fertile due to the fact that it is part of the Hooghly river valley. The land in this area is capable of producing multiple rice harvests each year and has been a source of wealth for the villages of this area for generations. Tata Motors is part of a vast multinational corporation that emerged from the recent successful industrialisation of India that has occurred over the last 20 years. Tata Group, founded in 1868 by Jamsetji Nusserwanji Tata as a trading company in Bombay, is one of the largest conglomerates in the world. Ushered in by reforms starting in 1990, the opening up of the Indian economy allowed Tata Holdings to become one of the most powerful international businesses in the world. Continue reading Farmland or Factory Site? In 1990, The Native American Graves Protection and Repatriation Act was passed. This act provides mechanisms for museums to return human remains, funeral objects and sacred objects to the Native communities where they originated. Thousands of items and human remains have been returned and reburied over the past eighteen years. For the most part, this act has been seen as a success by Natives and archaeologists alike, but as with anything, it also has created some controversy and disfavor. The most recent and still ongoing controversy is taking place in Hawaii, where the return of some cultural treasures is causing some deep divisions within Native Hawaiian communities. Because Hawaii has no distinct tribes, “deciding whom you give the objects back to has become a major problem”, said Betty Kam, the vice president of cultural resources of Bishop Museum in Honolulu. In Hawaii, there are two organizations that have been named to whom stolen treasures may be returned: Hui Malama I Na Kapuna O Hawaii (Group Caring for Hawaiian Ancestors) and the State Office of Hawaiian Affairs; however, others could also qualify.